There is no description yet, send your description. 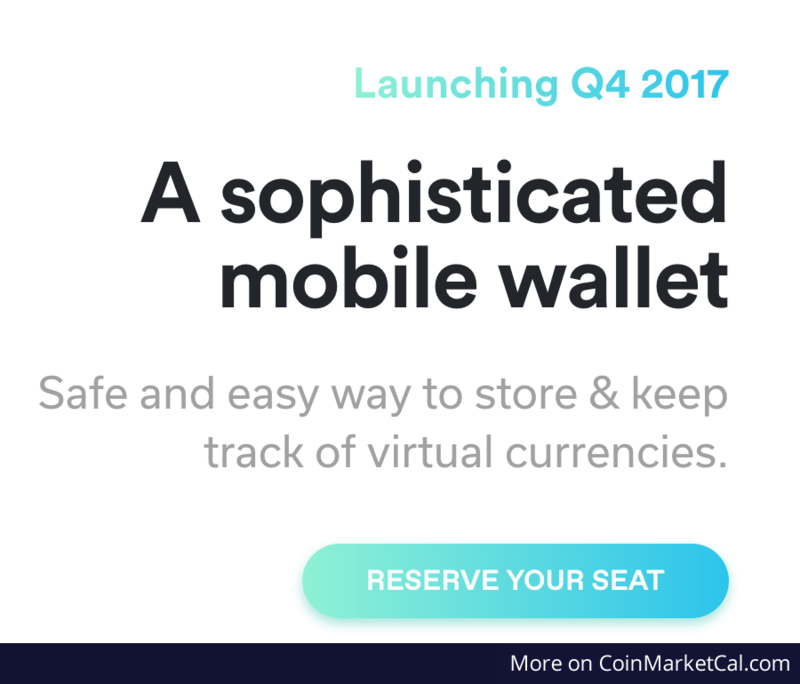 No upcoming event for this coin. 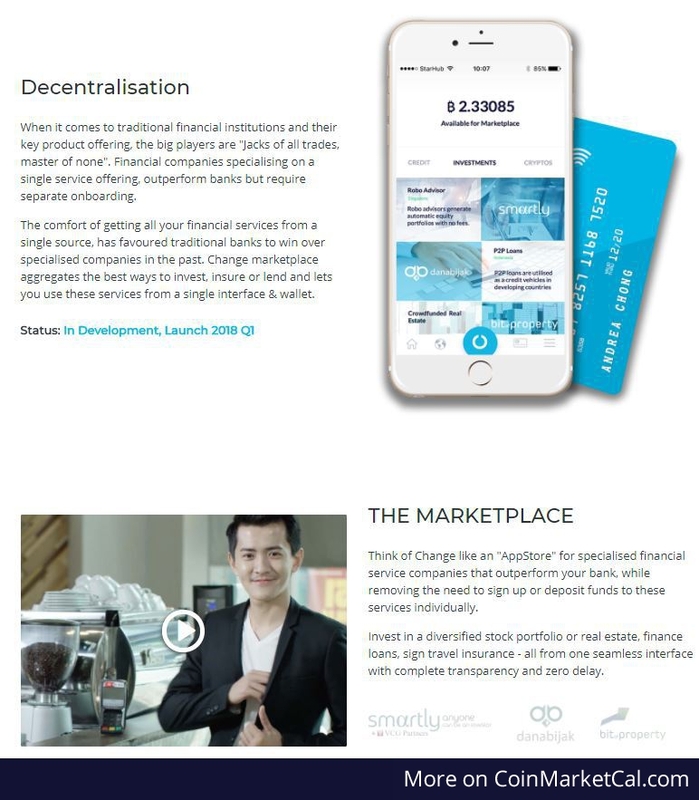 Invest in a diversified stock portfolio or real estate, finance loans, sign travel insurance - with complete transparency and zero delay. 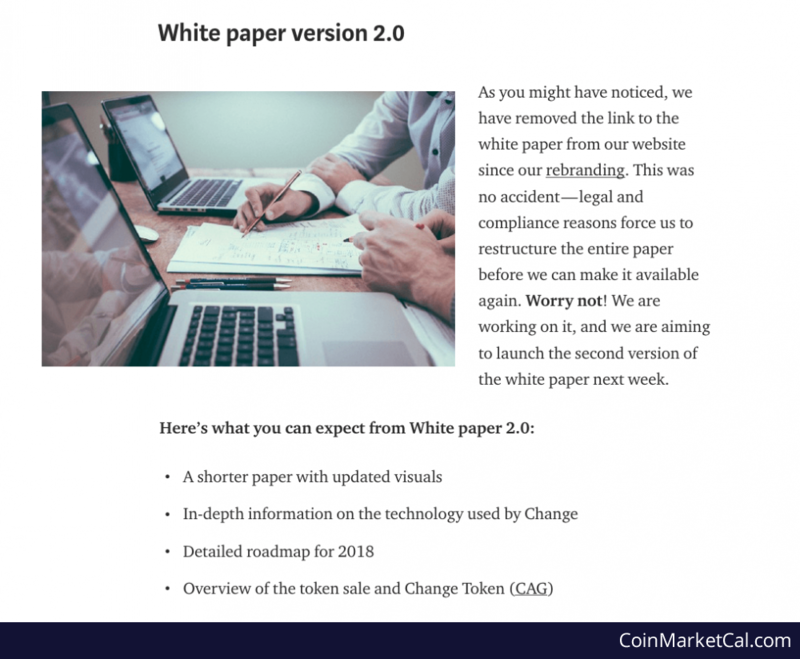 After a $17.5 token sale, Change is releasing a revamped version of the white paper, which includes a new product roadmap. 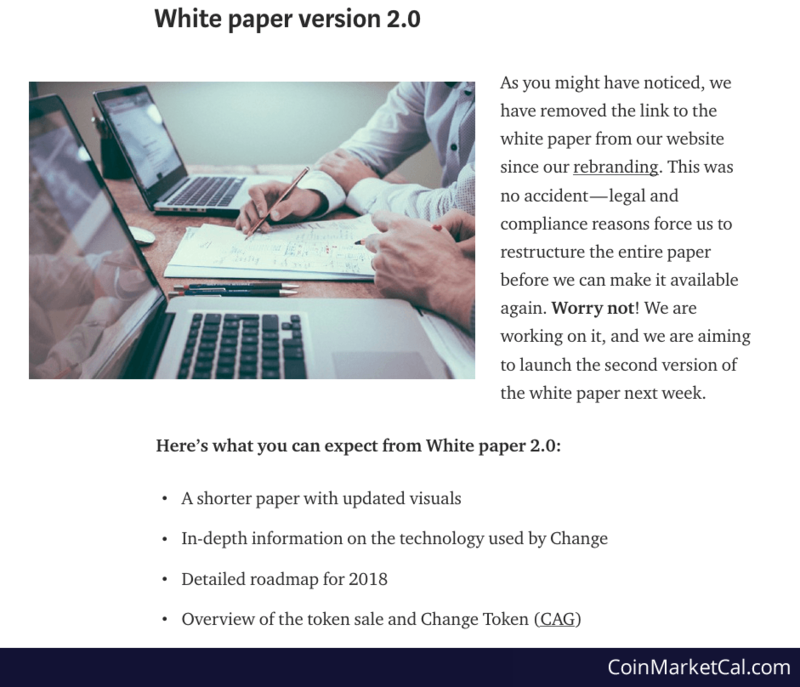 Roadmap to be released along with updated whitepaper next week. 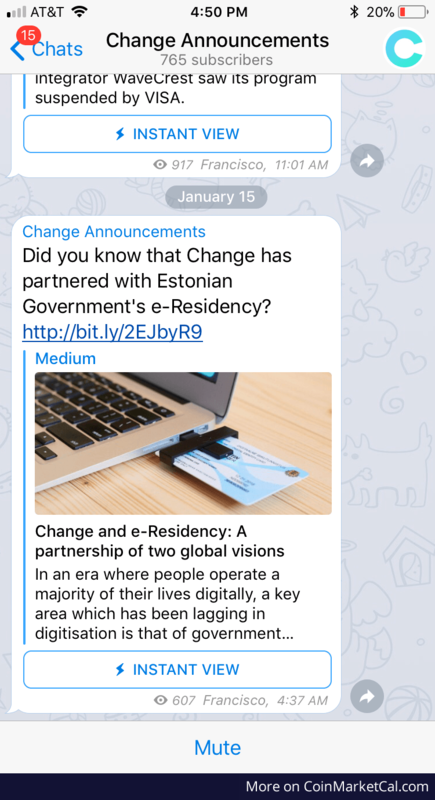 Partnership with the Estonian Government and their E-Residency Program! 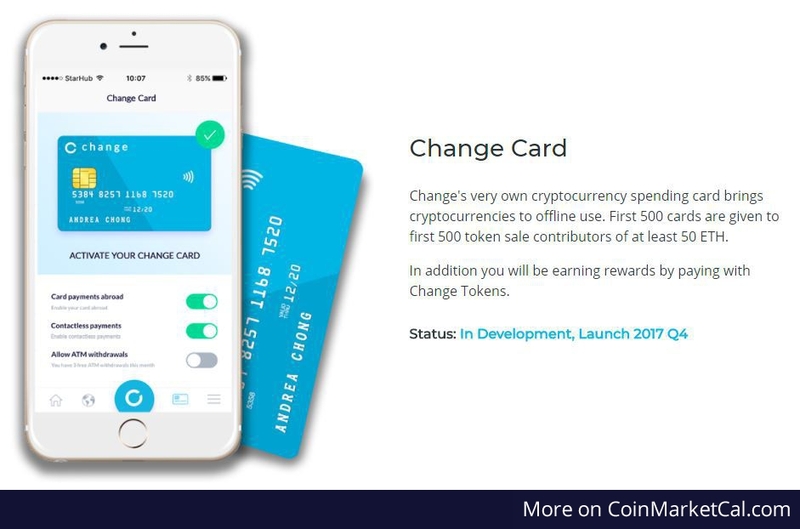 "Change's very own cryptocurrency spending card brings cryptocurrencies to offline use." 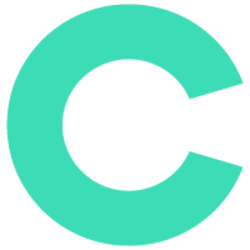 CoinMarketCal is the leading economic calendar for reliable cryptocurrency news. 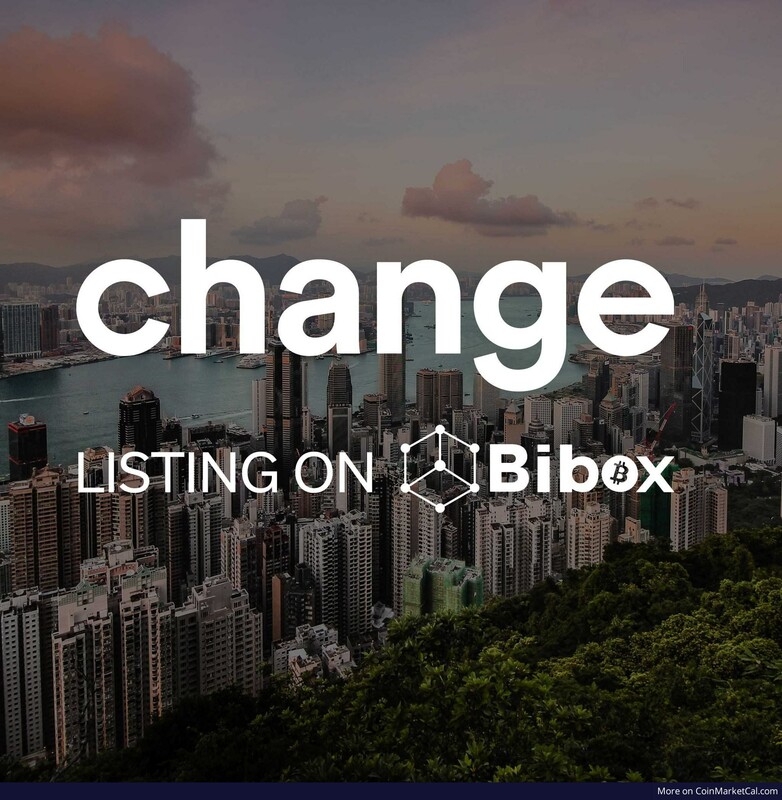 It covers all events that help crypto traders make better decisions.